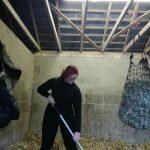 Those of you who read my post about BEVA 2016 will know that I stumbled upon a new app for both vets and horse owners to use. It has recently been launched on Android so I have been able to download it and have a good play with it and thought it would be good to share my thoughts. 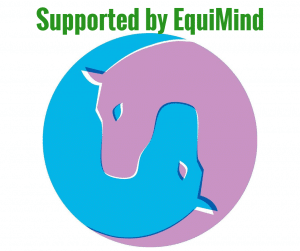 Horse Dialog is created by the same people who bought us popular programs such as Stable Mate. So they know the industry and have a good idea of what information is needed and useful. However, unlike stable mate, this app is aimed more towards Equine Vet Practices. 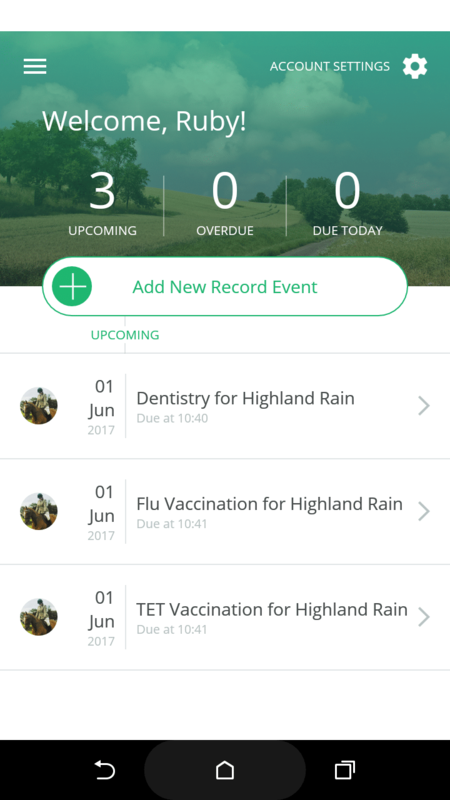 The idea is that horse owners download the app and connect to their vet practice via the app. The horse owner can input the horse’s routine and everything they do with their horse, which their vet can then see. So if your horse falls sick or develops an injury, your vet can look at what you have been doing recently with your horse and this information can help them diagnose the problem or suggest why it has occurred. The app also allows you set reminders and schedules. So if your horse has been prescribed treatment or changes to routine, you can input these into the app and it will handily remind you to do them. You can check these off as you go along and your vet can check you are doing what you are meant to be doing. You can also connect with others on the app. So if you have a sharer or someone who rides for you, you can connect with them and they can also input what they have done with the horse on the horse’s profile. 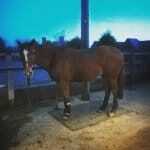 So over all, the app is a good idea and is a useful tool for both horse owner and vet. The App is very easy and straight forward to set up. It takes you through things in a logical order. However, after setting it up, I gave it too much information in the sense that I don’t need reminders of my horse’s daily routine (such as when I am feeding or putting Scottie in the field!) and it is then difficult to delete these things… you can only change the reoccurrence… In the end I deleted Scottie’s profile and started it again. 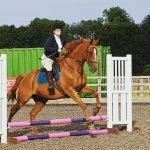 While a lot of this information on your horse’s routine is useful when your horse is suffering from a problem or having treatment, I personally found it a bit pointless for a happy healthy horse. Especially when if your horse develops a problem you can just tell the vet its regular routine. So if you do download, I recommend only inputting information you are likely to need reminders of, such as dentist, jabs, insurance etc. 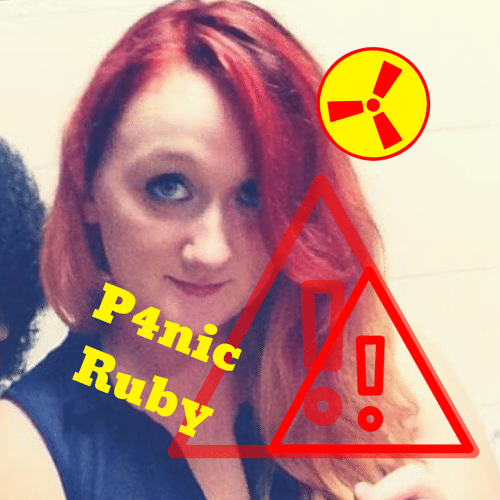 I have had a few problems during the setup of the app. The first one being that the calendars for inputting dates in the past could do with redesigning. You can only go back one month at a time… so putting in the date you purchased a horse or its date of birth can be a long process when it doesn’t have to be. Once the app is all set up, it is very useful. I have reminders set for the beginning of the month when Scottie is due for both his jabs and for the dentist and I will start using it to help me keep track of when he needs the farrier. I’m currently looking back in my texts to find the date he came last and then counting forwards 6 weeks! 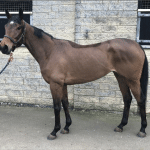 The app can also save information on your horse’s passport and microchip number, freeze mark, branding details as well as insurance policy and renewal date. While this might not be particularly important for your vet to know, it is useful to have this information to hand if you need it for whatever reason. Not that I can say I have put any this in apart from my insurer and renewal date! 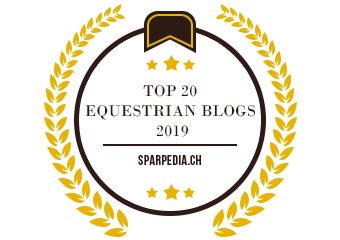 You can also enter details of how you’ve been exercising your horse, which I think would be useful to see, especially if you are working on a training programme or have someone else who rides your horse. 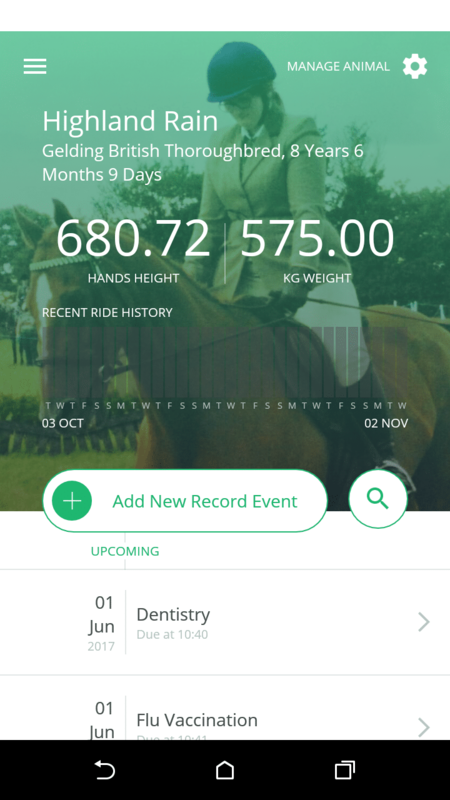 However, the exercise feature doesn’t seem to appear on your little ride log on your horses profile and to enter a ride to the app you need to know how long and how far you rode for… when I think really you only need one of these. It also has a few optional fields to fill in, but it won’t work unless you fill them in… I think both these sections could do with a little bit of work. Although a plus of the app is that it does have a GPS map feature which will track your ride. Which is always fun and useful to play with, especially if you enjoy your hacking and tracking your speed etc. Since this app is still very new, many vets do not have it yet, including my vet! You can set it up so that you get a reminder when your vet joins the app. But until then a little notification comes up saying that some of the features will be limited until you connect to a vets… So sadly, it appears that until more vets get involved, this app is more of a virtual diary for horse owners than actually serving the purpose it was designed for. I do like this app, despite a few issues which need resolving, and I can see it being a really useful tool for horse owners. I think it works very well for a new app and it’s one of those apps where it should get better the more people use it. I think it will always be more useful for people who look after several horses or someone with a horse who loves regular vet visits! But the being able to set reminders of when things are due such as the farrier and jabs is a great idea as it’s one of those things which can easily be forgotten until the last minute. But then I am pretty sure that there are other apps, albeit they may not be horse specific, which can also do this. So if you are a bit scatty and never know what’s going on or forget to stick to a strict exercise or management schedule, this app could be the perfect thing to remind you what you should be doing. However, until more vets get involved, I feel it is limited to a virtual diary with a GPS rider tracker. It is available on both iPhone and Android and since it’s free, I recommend downloading it and see if you can get on with it.